(CBS/WJTV/AP) JACKSON, Miss. 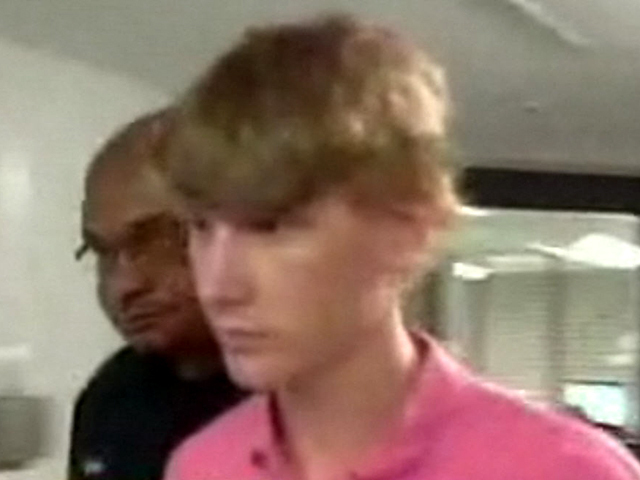 - Deryl Dedmon, a white teen who is being charged in the hit-and-run death of a black man in Mississippi, could now face the death penalty in what authorities are calling a hate crime. Dedmon, 19, was initially charged with murder, but Hinds County District Attorney Robert Smith says he has new evidence that shows the victim, 49-year-old James Anderson, was robbed before he was killed, which makes it a capital case, reports CBS affiliate WJTV. Anderson was beaten and then rundown and killed by a pick-up truck on June 26. Surveillance video shows the whole scene. According to police, you can see Deadmon and his friend John Rice, 18, in the video. The district attorney's office says Dedmon and Rice were with a group of teenagers that morning and went out looking for a random black person to assault. The district attorney has said racial slurs were used during the attack and that Dedmon later bragged that he " just ran that n----- over." Rice's attorney, Samuel Martin, suggested during a hearing in July that the teens were on a beer run after a night of partying. He claims they were not looking for a black man to assault as prosecutors allege. Authorities have not ruled out that others at the scene could be charged. The FBI has opened a civil rights investigation of the case.